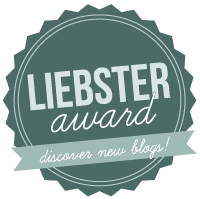 So today I was nominated for the Liebster Award! Thank you My Nail Polish Addiction! The Liebster Award is supposed to give blogs with less than 200 followers more exposure, so that is a good thing I suppose. Choose 11 questions for your nominees to answer then the nominees do their bit and the Liebster love keeps going around and around. Questions posed by My Nail Polish Addiction! 2. What qualities (other than color) do you most look for in a polish? 3. What qualities (other than color) will make you dislike a polish? 4. Are you a coffee person or a tea person? 5. Morning person or night person? 6. Favorite quality in yourself? 7. Least favorite quality in yourself? 9. If someone made a movie about your life who would you have play you? 10. What kind of nail art do you like to do (stamping, freehand, decals, beads, etc)?